The Newest Member of the Todo Racing School, ...or so goes my username, at least! Hey guys, while looking for some information on Street Stage techniques, I stumbled across this place late yesterday! I was having some issues with understeer in the R32 and AE86 Levin, both fully tuned, on Bunta's Akina run 1 Star. So, for many more reasons than simply that, I decided to make an account here! Now for a bit about myself: like most boys, I grew up loving cars. As a kid, it was mostly about cool looking cars and the fastest production in experience; Mclarens and other similar cars come to mind. Those cars are fantastic in their own right, but a slew of influences taught me that cars I see everyday have incredible potential for performance and, most importantly, fun. These influences included the natural process of growing up, a few new friends, car reviews and magazines, and this little anime show that started in the 90s. You guys might know about it, I guess. It's called Initial D and it's incredible in every conceivable way; so much so that I'm watching it from the beginning once again. 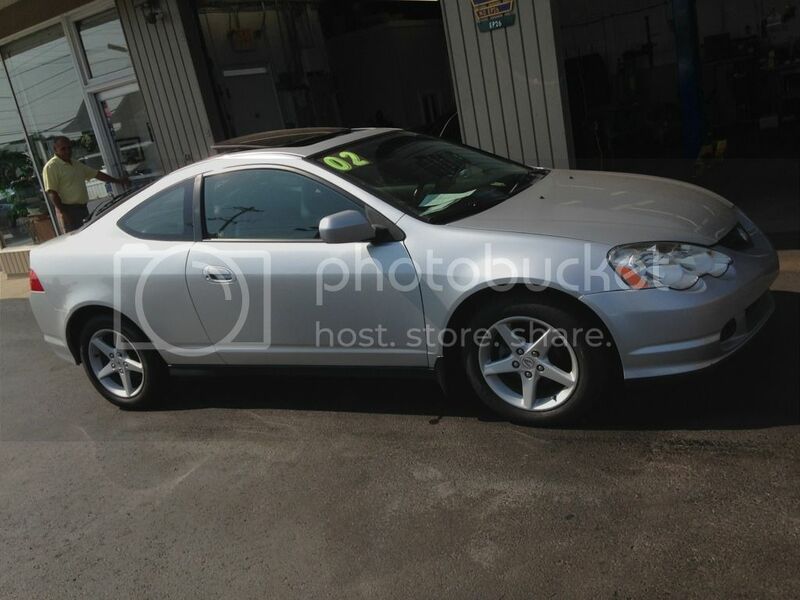 After a few additional months, I found a clean 2002 Acura RSX (Honda Integra [my bad, thanks Nomake!] in Japan, code is DC5). It's because of this that I chose my forum name! Besides the A Spec spoiler and Sparco Assetto Gara wheels, i havent modofied the car in any way! It's not blistering fast... hell, it's just the base model; but the handling is incredible, and it brings a smile to my face each and everyday. To me, that's all I need in a car. Before I ramble much longer, I'm excited to be around fans of initial D, fans of the arcade games based around it, and gearheads alike! I look forward to meeting you all and having a great time here! After a few additional months, I found a clean 2002 Acura RSX (Honda RSX in Japan, code is DC5). Honda Integra in Japan, actually. You write a lot. Welcome to IDW. Good catch! It is a lot of writing, I suppose I was bound to make a few mistakes, haha. Thank you for the welcome! It's not blistering fast... hell, it's just the base model; but the handling is incredible, and it brings a smile to my face each and everyday. To me, that's all I need in a car. Many of us here would agree. You can have the best performing car in the world, but if you don't enjoy it, then the car is not for you. The RSX is a pretty good platform to start with from what I hear with a huge aftermarket for whatever direction you decide to take it. Any plans for the RSX? Thanks for the welcome, Kiroshino! As for plans, I want to perfect the enjoyment I get from the car. The last step in doing so is a catback system! I definitely don't want a fart cannon that'll be heard for miles, I just want a little more volume from the K20. After that, I may save up for K-Pro, but there's not really too much else I would change about the car at all. I just want a little more volume from the K20. After that, I may save up for K-Pro, but there's not really too much else I would change about the car at all. Thanks for the welcome, Rudy! And to Kiroshino, yeah that is true, haha, my buddy'd been bitten pretty good by the mod bug! But I'm quite happy with the power output, I just like Kpro due to the ability to fine tune the car, along with the onboard datalogging! I just like Kpro due to the ability to fine tune the car, along with the onboard datalogging! Btw, nice wheels. Planning on participating in motorsports, modding for fun and aesthetics, or a little bit of both? Welcome to the forums! Its always nice to have more gear heads around! Enjoy your stay! Those cars do handle quite well and can be made very competitive in that sense very easily. I approve! And for Kiro, fun and aesthetics, hands down! Although if I feel like I get to a point where my abilities as a driver are good enough for autocross, I won't hesitate in the least. Drag racing is pretty cool, but it's not my thing. If there's no corners, there's no fun... to me, at least! The only way to see where you are and learn about where you need to improve is to get out there and get that seat time. Quite frankly, there's no such thing as "good enough for autox." That's how I got my start, and I still do it; it's a ton of fun, and believe me, I was AWFUL when I began. And in all honesty, I wasn't that great of a driver for a number of years following. My advice: Get out there and do it. Not only that, but take advantage of every resource you have at your disposal. Get rides from people with similar cars, have instructors ride with you, whatever ego you may or may not have, let it go, it'll never help you go faster. There is always someone faster and the last thing you need to be worried about is them, especially when starting out. Worry about yourself and the improvements you can make there, and do whatever you can to make it happen. Yeah, you're totally right about all that. I appreciate the advice, especially from someone who has experience! I think I'll start looking around to see what events are near me and just go from there! Unfortunately, few of my close friends are interested in the same thing, and one of them moved to Georgia from Pennsylvania just about a year ago. But hey, I suppose it's an opportunity to meet new people and learn new things. Easier said then done, but good advice. Despite having never participated, I still struggle with this for everything. Comes with my job as a programmer, I guess. Where about PA are you from, if you don't mind me asking? Yeah, not to far from the Wilkes Barre/ Scranton area in the northeastern area of PA! Ah, you're pretty far north. I'm just over the border from New Hope, which is a trip. Took a quick look. You've got a few events near you. One was actually in Wilkes Barre yesterday. I knew nobody when I went to my first event. And while that was when I lived in Iowa, there're still a couple guys from down there that I met that day that I keep in contact with. It's totally an opportunity to make new friends and I've never found an autox event lacking an abundance of friendly faces. Haha that's ironic, but thanks for the link, Kiro. And it's great to hear that, Spaz! I wasn't sure if the autocross community was welcoming or not, so I'm relieved to hear that they're generally quite an inviting bunch.